Thank you for your continued loyalty to Produce Freshies!! You choose the groceries You Want, not what the grocery stores are offering this week only. Design Accents, LLC discovered the USA factory producer of the power pellets that make up these little packets of organic material. Produce Freshies was featured on a show called Invention Hunters on The Food Network Channel. 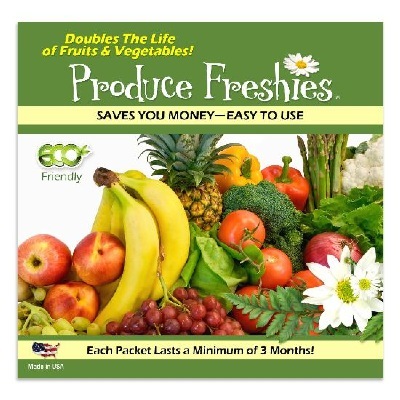 Because of a scientific test during the show, proving Produce Freshies works without a shadow of a doubt, Produce Freshies was awarded a worldwide licensing agreement. Small Packets, about 1" square and about 1/8" thick, containing Potassium Permanganate treated Zeolite "power pellets," when placed next to produce, absorbs ethylene gas. Ethylene Gas, a naturally occurring gas in nature and air, is converted to water and CO2. Ethylene Gas is what causes your produce to ripen and spoil way too fast, causing all of us to have to throw our cash in the trash.....our hard earned money that bought and paid for our fruits and vegetables. Are Freshies Safe and Environmentally Friendly? The material in our Produce Freshies is an organic production of food processing and handling according to the USDA National Organic Program Rules. The American Lung Association also approves its use. Produce Freshies works using the KISS method. (Keep It Simple Stupid :-)) Not us people... but the method in which these powerful little packets work. 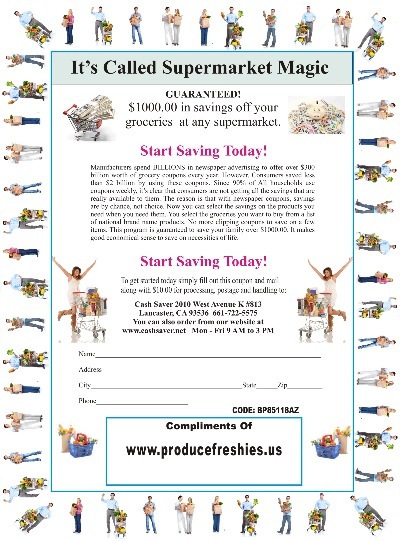 Produce Freshies is so SIMPLE AND EASY TO USE. The paper and ink are FDA approved and the power pellets inside the packets are organic. Each packet lasts a minimum of at least 3 months when in use and can last up to 2 years when kept in an air tight container. 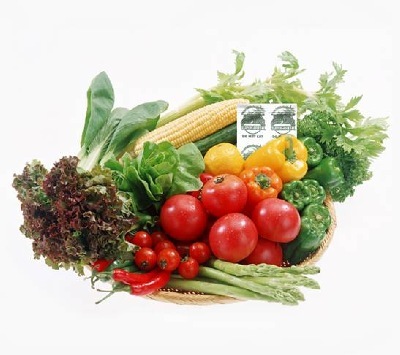 Just date your packets (either the day you started using them, or 3 months from your start date of use) toss a packet in each of your vegetable drawers and on the shelves of your refrigerator. These powerful packets helps control mold, mildew, bacteria and they absorb odors. The more you use the better! After their 3 months use, you can simple toss them in the trash or cut open the packets and sprinkle the power pellets into the soil of your herb garden, potted plants or anything in soil. 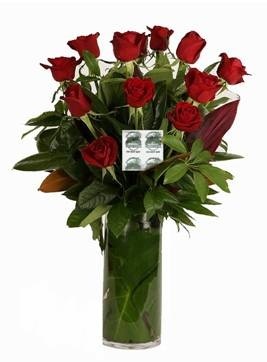 Freshies, when placed in the foliage of your fresh cut flowers, absorbs the naturally occurring ethylene gas in nature and air, to help prevent your petals from opening too fast and to help prevent the leaves from turning brown and falling off too soon.